Another Kardashian is coming to the E!. Today, the network announced they’ve ordered a new series called Rob & Chyna. The reality show will follow Rob Kardashian and his fiancée Blac Chyna as they prepare for their first child together. The six-episode series is slated to premiere later this year. Los Angeles, CA – June 1, 2016 – E! 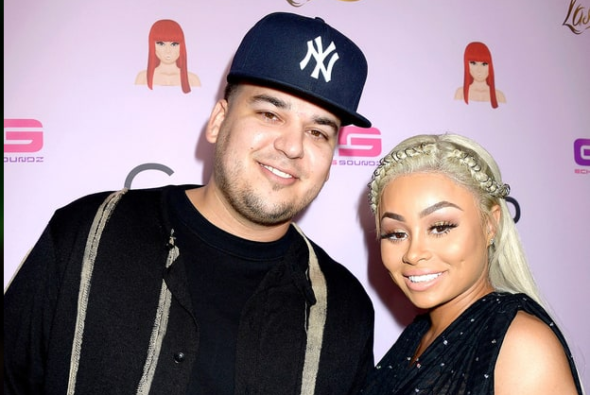 has greenlit the new docuseries “Rob & Chyna,” a look inside Rob Kardashian and Blac Chyna’s lives on the heels of their engagement and pregnancy news. The one-hour, six-episode series is produced by Ryan Seacrest Productions and Bunim/Murray Productions and will premiere on E! later this year, followed by a special celebrating the birth of the newest Kardashian. “Rob & Chyna” is produced by Ryan Seacrest Productions and Bunim/Murray Productions. Ryan Seacrest serves as Executive Producer for Ryan Seacrest Productions. Gil Goldschein, Jeff Jenkins, Farnaz Farjam and Ailee O’Neill serve as Executive Producers for Bunim/Murray Productions. Kris Jenner serves as an Executive Producer. Rob Kardashian and Blac Chyna are Co-Executive Producers. What do you think? Are you a fan of the Kardashians? Will you watch Rob & Chyna? More about: E! TV shows: canceled or renewed?, Rob & Chyna, Rob & Chyna: canceled or renewed? Ohmygosh! More reality trash with another Kardashian! No wonder I, and many others, don’t watch this network at all!